The term ‘synchronicity‘ was coined by Carl Jung. Throughout his life, Carl Jung did come up with slightly different explanations of this complex subject, but the basic meaning is there for us to understand. He said if ‘meaningful coincidences’ occur with no ‘causal relationship’, but seem to be meaningfully related, this is synchronicity. In other words, if unrelated incidents happen to you and you find yourself seeing things in a different way and feel more connected to who you are because of these experiences, then you have just experienced the wonderful world of synchrony. 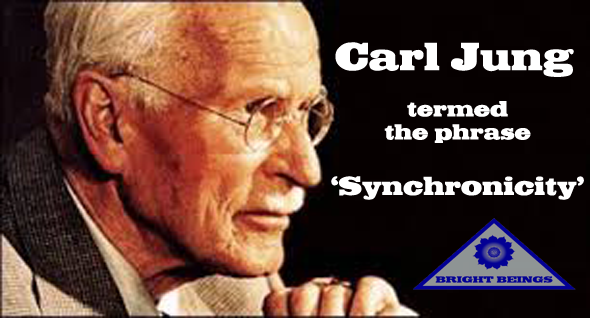 Carl Jung came to the conclusion that synchrony is a governing dynamic which underlies the whole of human experience. Quantum mechanics now verifies this statement and we will look into that later in this article. We do have the power to manifest our reality, and many people who are exploring this subject, are coming up with some very profound truths. Synchrony happens all the time in our lives, and it comes and goes undetected if you are not looking for it. The universe will deliver what we ask for, but not for selfish, power grabbing or unjustified reasons. Then it seems that we are sent lessons to learn our path to synchrony. These occurrences can be very simple or very complex. To be connected, we truly need to understand what is good for me, is good for you too. This applies to everything in our experience, humans, animals, our environment, everything! Again some of these truths have been passed down from ancient times, and some are more recent in our history. Let’s explore some of these truths. Greg Braden has posted a terrific explanation of the Essene mirrors on You tube, and the link is below. 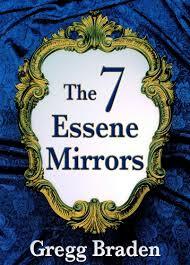 The Essene mirrors have seven stages and the sixth one is the dark night of the soul. This is where you are synchronising with your observer consciousness, or soul, and seeing all the emotions, feelings and ego you have picked up during your life, or previous lives, and are starting to shed them. If you have been through this, you’ll know it is a difficult time and you can feel completely disconnected. Well, that is true. All these negative vibrations are keeping you from synchrony with your true self and need to be dealt with. The Essene mirrors help you recognise the transitions you are going through, and therefore it becomes easier for you to find your path of synchrony with your world. You will meet soul mates and you will meet people who will try to hold you back. Although it is easier said than done, always stick with the positive, even in the face of adversity. Sometimes it feels your life is falling apart, but remember, things need to break down before they can change, so there is no need to worry. The Nag Hamadi texts tell us more about the Gnostics and their understanding of what is keeping humanity away from synchrony. They believed that we are all divine in nature, and we are in a consciousness trap. It is the journey within that is important and that this experience we are having here on planet earth can be illusory in nature, so trust no authority that claims to be over you. This illusory situation is orchestrated by the Archons and the people being manipulated by them. 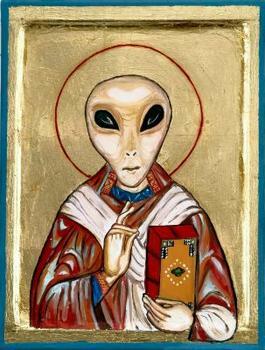 The Archons are inter-dimensional beings that feed off negative emotions such as fear, anger or sadness. We certainly are awash with these emotions in our society today. The journey within and the synchrony with our observer consciousness or soul is the remedy for this experience we are having on planet earth, so say the Gnostics, and I concur with that. Whether this is a story or a depiction of the truth doesn’t matter really. What is important is that we all take the journey within to understand our true nature and reject all the emotions and feelings that don’t serve us, including anyone claiming authority over us, pretending to keep us safe. We really need to understand that no man-made creation has authority over us because of our divine nature. We have all the answers within. We all need to find them to create one synchrony, our synchrony, the synchrony of love. So many people are living a life that doesn’t allow synchrony to happen very easily. I call this the Rothschild meme. We are told our western civilisation is the only way we can live with each other on planet earth and we need to accept it. Without wanting to sound like a broken record, this is insanity. How many more banking scams, political corruption and corporate crimes have we got to endure before we realise none of these institutions are actually serving us? The way this so called civilisation is set up only serves a very few at the top. It is not even the one per cent. It is a very small group of people who orchestrate everything. They come from the school of divide and rule, and the Hegelian dialect of problem, reaction solution. They create the problem, get the required reaction and offer the solution. This is creating a loss of synchrony amongst us as many are always ‘chasing their tail’ to survive and while doing so, enabling these people to carry on their corrupted way of life. How many times has money changed the way that you think about things? 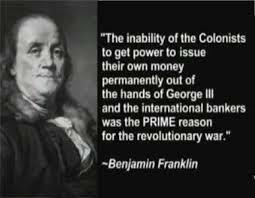 The private central banking elite have monopolised the creation of money on this planet and this needs to be addressed and soon. It really is something to think about. But change is coming slowly now, and we see a growing number of people actually waking up to the nature of our reality, which is the key to fixing this and ridding ourselves of institutions that do not serve humanity as a whole. Synchrony is there, waiting to play its part in our journey to health, happiness and freedom. We can find our true nature and realise the nature of our reality. We can change the way we live on our planet and live with synchrony, creating a better way of living. We can take back our vision of a bright future, and let no one interfere with this vision again. We can reject the decline of morality we are witnessing today, which is like Babylon revisited. This Rothschild meme is not our friend and does not serve us. We need to take our power back. So let’s have a look at the nature of our body and how we can do just that . Everybody knows we have a material body. This is our casing for the material world. It is a transmitter and receiver of information and exists in this 5 sense reality, which only exists in a very small frequency range. To keep this body in synchrony with itself, to stay younger and full of vitality, proper breathing, diet and movement is necessary. Our material body is connected to our energy body. Our energy body, some call it the light body, is connected to the material body through our energy system. These are our meridian lines, acupressure points and the chakra system. Energy can be blocked in these systems which can cause bad manifestations in our material body. So we need to keep our energy body healthy too. We have a third body, which is our observer consciousness, or soul. This is our true self, our real essence. When you find synchrony with these three bodies, you are well on the path to a happy and healthy life. You will be aware of your eternal existence because of your understanding of your observer consciousness. You will find endless energy through your energy body and you will find zest and vitality in your material body, with clarity of thought and be able to understand and act upon the guidance from your soul, thus rejecting everything that is detrimental to you and your environment. This is a far cry from the way that the majority of humans exist on the planet today. Rewiring the brain – Synchronise! Synchronise! Synchronise! There is plenty of research now that tells us that meditation stimulates the neo cortex and rewires the brain. Unfortunately some of the foods that we eat, the drinks we drink and pathogens and carcinogens we consume are actually rewiring our brain with a very detrimental effect. We can reverse this detrimental effect by changing our diet, gentle movement or exercise and through meditation. Max Planck was the father of quantum mechanics whose research made him realise there is a field, which consists of primal vibrational waves, that we live in which encompasses everything. What fills the space of this field are quarks and gluons. These are the fillers of the space between the protons and the neutrons which make up the atom, thus the space of an atom isn’t empty. 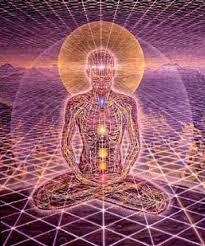 So, does the simple action of meditation connect us to this energy matrix? Yes it does. So does this simple action of meditation promote synchrony within our material lives? Yes it does. There are links below explaining quarks and the quantum field in more detail. The film ‘The Matrix’ was based on Max Planks findings and is a good analogy of our world. Synchrony lies at the very heart of our existence in this 5 sense reality. We are connected profoundly to this field. We now know that our Electromagnetic field is dominated by the heart. The heart is by far the biggest energy field of our body. It is not the brain. 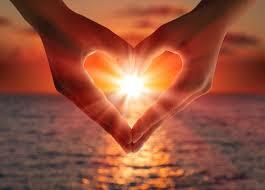 So if our energy body is dominated by the heart, surely then our world should be dominated by heartfelt actions. When we start to live like this, things do begin to change. An easy way of summing this up is a little saying that was on one of my birthday cards this year. ‘If you light a lantern for someone else, it will also brighten your way’. So what is good for you is good for me. These are very simple principles that promote synchrony which in itself brings peace, love and harmony. You will start to make your path right out of this matrix. We can make this vision come true, and we need to do this together. We can take back our collective consciousness which has been hijacked at this time. Who wants endless wars, famine and detrimental systems of control? That is certainly not what my heart yearns for. Is this true of you also? Our reality is based on a small frequency range, where everything is a vibration. When we have a thought, it creates another vibration in the brain. We also create other vibrations with emotions and feelings which are just passing moments to our own observer consciousness. When these emotions or feelings are detrimental to your well being and left unchecked, they can manifest into an ailment in your body. We need to purge our body of these negative vibrations. This will help us find our path to synchrony and live a more harmonious and peaceful life. Once we have cleared these negative vibrations, it really does become easier to spot them when they manifest again and clean them up. It is as simple as cleaning your house. You need to do it every day if you are going to live in a pristine environment. It is your road to happiness. Let’s look at a few ways of doing this. Meditation is a great way of cleansing your state. When you get deep enough into it, it is almost like hitting the reset button. You can refresh yourself and put everything into perspective when you regularly meditate. There are many forms of meditation from simple breathing exercises to full on silent meditation techniques. Find the one that suits you the best and use it. Be aware of your body and pay attention to what it is telling you. 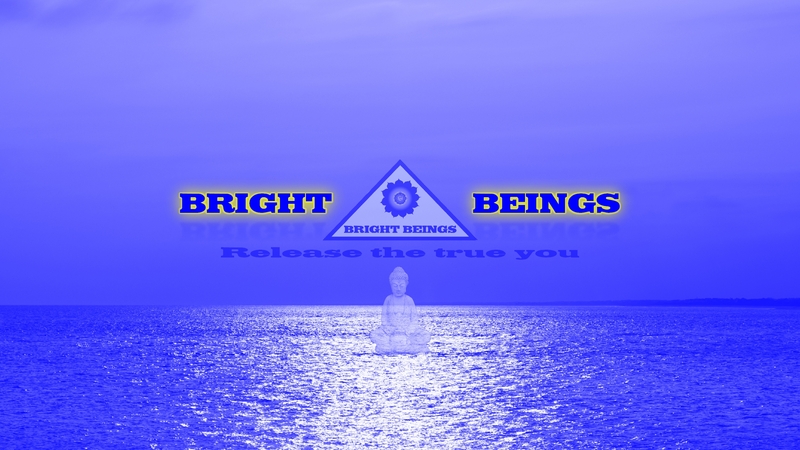 There is a meditation exercise below that is free from Bright Beings you can try if you are looking for something to get you into meditation. The Bach Flower remedies are a great way of dealing with emotions on a vibrational level. When I was first told about them I thought it was a joke that you can take the vibrational essence of a flower and use it to help a negative emotion that is within you. This really does work, and I was so convinced that I myself trained as a Bach Flower practitioner. Dr Bach actually wanted to simplify the technique of helping people rid themselves of negative emotions and feelings. He was so driven, he stayed alive just long enough to finish his work and leave us with these wonderful remedies. You can find them and an explanation of what the essences do on the website linked below. Brain Wave Vibration is a term coined by Ilchi Lee. He has come up with three exercises where you can actually shake out all the negative emotions and feelings within your body. It actually works and I witness living proof of this weekly at my local Dahn Yoga centre. It is simply shaking your body in a trance like state and feeling where your body is hurting or straining. It also involves tapping your second chakra and moving your head from side to side. This is a very effective technique and will help you clear out those unwanted feelings and emotions. His website is listed below where you can find books and exercises to follow on the subject. I have been involved with producing a heart opening meditation exercise with Bright Beings and Dr Tomasz Kopec. 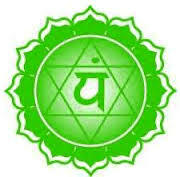 The binaural beat is a frequency that will open the heart chakra which is embedded into the accompanying music. The exercise also does this and helps you indentify the negative emotions or feelings that you want to rid yourself of. This is the third exercise in a series of four we have produced to open the three main chakras of the body. Follow the link below to try these out for yourself. When we are in our mother’s womb we are intrinsically connected to our mother. We are at one with our mother. When we are born, we suddenly become separated from our mother and a new world of duality starts for us. We gradually move away from being connected and this whole process takes around seven years to fully complete. Then we fully understand we have been disconnected from the oneness. Many of us feel a sense of loss inside throughout our lives because of the loss of this synchrony with the oneness. We can find this oneness through meditation and explore the void where we have come from. It is certainly a life changing experience and I am always urging people to carry on with their meditation practices because it takes time to develop these understandings. Time is something we all need to develop these senses and it is being stolen from us with many distractions. So we all must become masters of our time and space. Synchrony will help you release the true you. Don’t be fooled or tricked by this society and the dogma’s we all seem to be bogged down with. Be positive, as positive news makes a good brain. Be open minded as this opens up a world of possibilities. Be understanding of people who haven’t quite grasped the nature of their reality yet. This also requires patience . Reject everything that is detrimental to you. Life is hard enough without someone adding to your burden. We are not here to wreak havoc, pillage and plunder the planet and everything on it. We are divine, infinite consciousness having an experience. We are the protectorates of this material world, so we need to take responsibility of our actions and act accordingly. A wonderful world of Synchrony awaits all of us. What is good for you is good for me. Let us all make this our vision and we will get there sooner than you think. We can make our dreams come true when coming out of the heart. We can live in Synchrony. ← Sound healing. The power of sound.